See Silva, Basson & Moe (1996) regarding the spelling of the specific epithet (Guiry, 1997). Japanese: Shikin-nori (Chapman & Chapman 1980). Guiry, M.D. & Maggs, C.A. (1985). 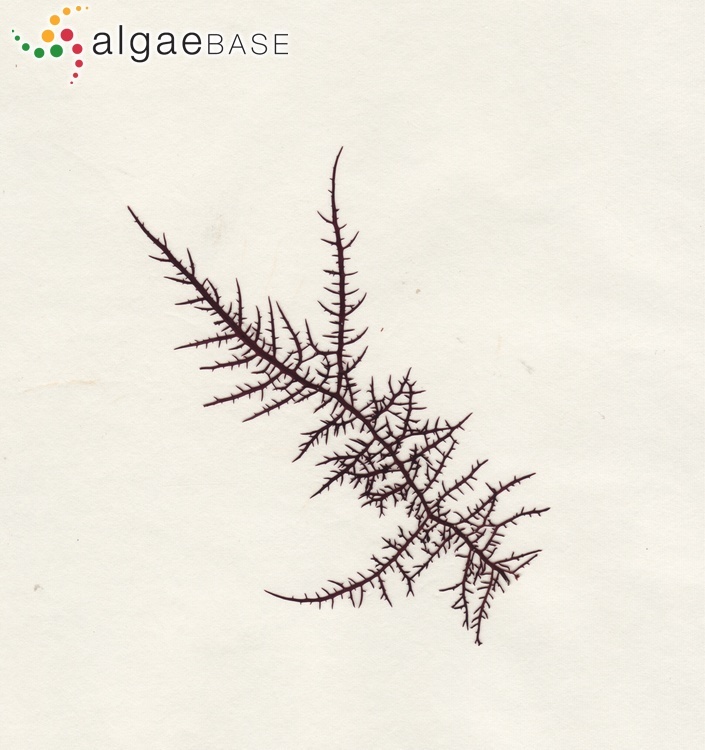 Notes on Irish marine algae - 7. Gigartina teedii (Roth) Lamour. (Rhodophyta). Irish Naturalists' Journal 21: 490-493. Guiry, M.D. (1984). Structure, life history and hybridization of Atlantic Gigartina teedii (Rhodophyta) in culture. British Phycological Journal 19: 37-55. Yang, M.Y., Macaya, E. C. & Kim, M.S. (2015). Molecular evidence for verifying the distribution of Chondracanthus chamissoi and C. teedei (Gigartinaceae, Rhodophyta). Botanica Marina 58(2): 103-113. Accesses: This record has been accessed by users 4344 times since it was created. Pereira, L. & Mesquita, J.F. (2004). Population studies and carrageenan properties of Chondracanthus teedei var. lusitanicus (Gigartinaceae, Rhodophyta). Journal of Applied Phycology 16: 369-383. Soares, F., Fernandes, C., Silva, P., Pereira, L. & Gonçalves, T. (2016). Antifungal activity of carrageenan extracts from the red alga Chondracanthus teedei var. lusitanicus. J. Appl. Phycol. 28: 2991-2998.